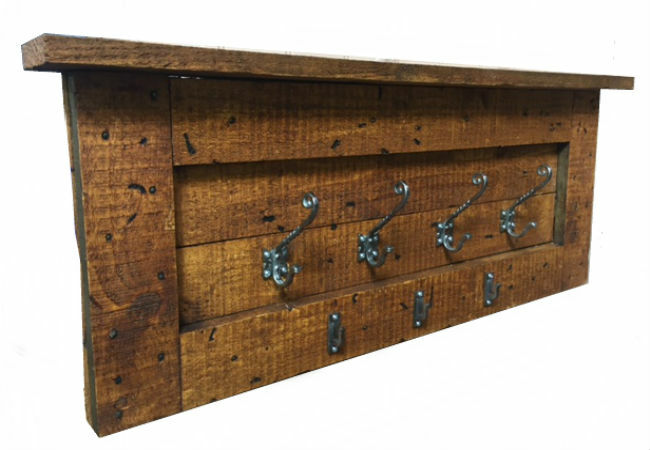 Our bespoke handmade rustic coat racks add charm and character to any hallway. 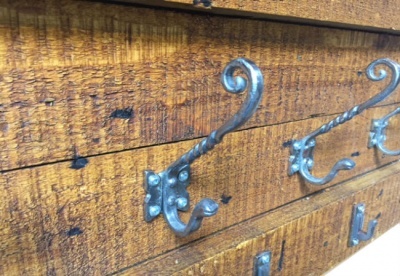 Cut, aged and stained in our in house workshop each one has it's own unique look. Paired with our old English pewter effect coat hooks for the ultimate farmhouse look.